The common name of this plant would suggest that this plant was used to make the crown of thorns for Christ when they crucified him. While this may have been the case, the crown was more likely made from a species of thorny acacia. Regardless, the prominent thorns covering the stems of this plant are one of its interesting features, as are its attractive pink-red “flowers” (cyathia), which are produced most abundantly when the plant is grown in full sun. If the stems are injured in any way, a white milky juice (latex) is exuded from the injury for a minute or so. This juice has the potential to irritate the skin of a few very sensitive individuals, so the plant is best handled with caution. The Crown of Thorns will root from stem cuttings, but the cut surface must be allowed to “cure” in the open air for several weeks before it can be inserted into barely moist rooting media, or else it will rot. If the plants are grown under continuously moist conditions such as prevail locally, it bears leaves throughout the year. However, if there is a pronounced dry season, the leaves will be shed and the plants will go dormant until the rains return. Many churches hold special services on Easter Sunday, which celebrate the Jesus Christ’s resurrection after his crucifixion. Many people also decorate eggs. These can be hard boiled eggs that can be eaten later, but may also be model eggs made of plastic, chocolate, candy or other materials. It is also common to organize Easter egg hunts. Eggs of some form are hidden, supposedly by a rabbit or hare. People, especially children, then search for them. In some areas, Easter egg hunts are a popular way for local businesses to promote themselves or may even be organized by churches. In Pagan times, many groups of people organized spring festivals. Many of these celebrated the re-birth of nature, the return the land to fertility and the birth of many young animals. These are the origins of the Easter eggs that we still hunt for and eat. In Christian times, the spring began to be associated with Jesus Christ’s crucifixion and resurrection. The crucifixion is remembered on Good Friday and the resurrection is remembered on Easter Sunday. The idea of the resurrection joined with the ideas of re-birth in Pagan beliefs. Easter Sunday is not a federal holiday but a number of stores are closed in many parts of the US and if they are open, they may have limited trading hours. In some cities, public transit systems usually run their regular Sunday schedule, but it is best to check with the local transport authorities if any changes will be implemented during Easter Sunday. 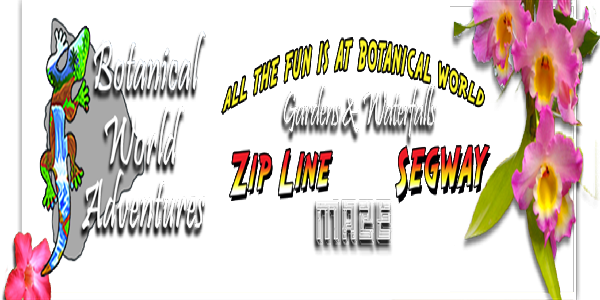 Come enjoy Zip Isle Zip Line Adventures at Botanical World on the Hamakua Coast just a few minutes from Hilo. We are open every day of the week, every week of the year for your enjoyment! 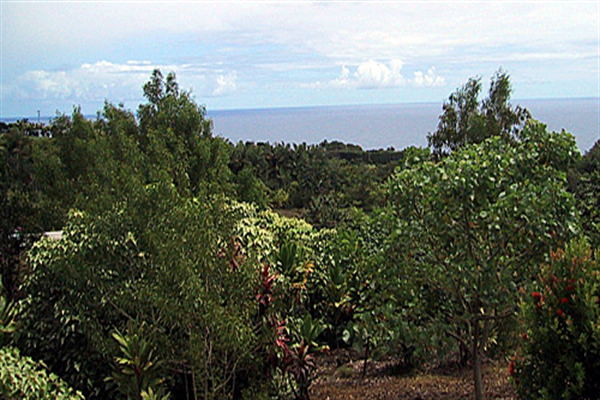 With Zip Isle, guests can have a complete Hawaiian Eco Tour Adventure. Combined with the many other features of the World Botanical Gardens and Waterfalls that are included in your admission, you get the best of the Big Island experience in one location. You will experience the thrill of a lifetime but still have time to see the other unique features of the Big Island including views of the volcano, waterfalls, whales (in winter), the rain forest and other nearby wonders that await you. 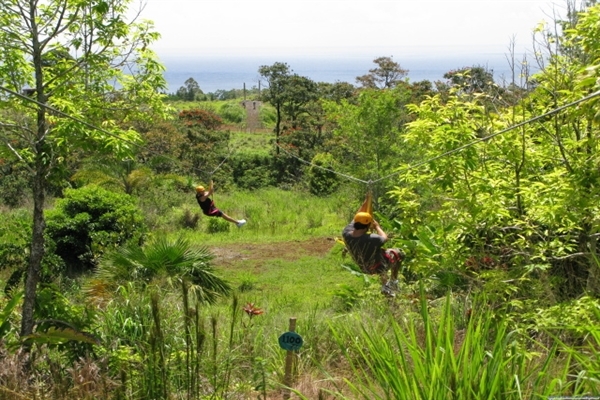 Before or after you go zipping, you can view beautiful Kamaee Falls and walk through acres of lush tropical gardens. Non-zipping family members can stroll through our Rainforest Trail and watch you zip while they experience the beauty of the tropical landscape. Young and old alike can enjoy strolling through the world’s second largest Herbaceous Maze. About four o’clock in the afternoon, another party of musicians and dancers, followed by multitudes of people, took their station nearly on the spot occupied yesterday by those from Kaʻū. The musicians, seven in number, seated themselves on the sand; a curiously carved drum, made by hollowing out a solid piece of wood, and covering the top with shark’s skin, was placed before each, which they beat with the palm or fingers of their right hand. A neat little drum, made of the shell of a large cocoa-nut, was also fixed on the knee, by the side of the large drum, and beat with a small stick held in the left hand. When the musicians had arranged themselves in a line, across the beach, and a bustling man, who appeared to be master of the ceremonies, had, with a large branch of a cocoa-nut tree, cleared a circle of considerable extent, two interesting little children, (a boy and a girl,) apparently about nine years of age, came forward, habited in the dancing costume of the country, with garlands of flowers on their heads, wreaths around their necks, bracelets on their wrists, and buskins on their ankles. When they had reached the centre of the ring, they commenced their dance to the music of the drums; cantilating, alternately with the musicians, a song in honor of, some ancient of Hawaii. The governor of the island was present, accompanied, as it is customary for every chieftain of distinction to be on public occasions, by a retinue of favorite chiefs and attendants. Having almost entirely laid aside the native costume, and adopted that of the foreigners who visit the islands, he appeared on this occasion in a light European dress, and sat on a Canton-made arm chair, opposite the dancers, during the whole exhibition. A servant, with a light kihei of painted native cloth thrown over his shoulder, stood behind his chair, holding a highly polished spittoon, made of the beautifully brown wood of the cordia in one hand, and in the other a handsome kahiri, an elastic rod, three or four feet long, having the shining feathers of the tropic-bird tastefully fastened round the upper end, with which he fanned away the flies from the person of his master. The beach was crowded with spectators, and the exhibition kept up with Great Spirit, till the overspreading shades of evening put an end to their mirth, and afforded a respite to the poor children, whose little limbs must have been very much fatigued by two hours of constant exercise. The species name ‘grandis‘ refers to the large fruits that are produced by the trees. The history of the word “pomelo” is uncertain. It is thought to perhaps be an alteration of the Dutch pompelmoes (meaning Citrus maxima) or alternatively, perhaps an alteration of a compound of pome (“apple”) + melon. The fruit tastes like a sweet, mild grapefruit, though the typical pomelo is much larger than the grapefruit. It has none, or very little, of the common grapefruit’s bitterness, but the enveloping membranous material around the segments is bitter, considered inedible, and thus is usually discarded. The peel is sometimes used to make marmalade, can be candied, and is sometimes dipped in chocolate. In Brazil, the thick skin is often used for making a sweet conserve, while the middle is discarded. Citrus maxima is usually grafted onto other citrus rootstocks but can be grown from seed, provided the seeds are not allowed to dry out before planting. There are two varieties: a sweet kind with white flesh and a sour kind with pinkish flesh, the latter more likely to be used as an altar decoration than actually eaten. Pomelos are often eaten in Asia during the mid-autumn festival or mooncake festival. It is one of the ingredients of “Forbidden Fruit”, a liqueur dating back to the early 20th century that also contains honey and brandy. This liqueur is most famously used in the Dorchester cocktail. The trees bloom from late February through mid-April, while the fruit ripens during the following December – March period. The flowers are intensely and delightfully fragrant, which is typical of the flowers of Citrus plants in general. Individuals interested in helping to maintain and grow the World Botanical Gardens and Waterfalls can join our Garden Membership Program. Becoming a member helps preserve our gardens of peace and beauty for the enjoyment and education of future generations. Both annual and lifetime memberships are available. Members may use their benefits at any time while the membership is active by presenting their membership card and a photo identification card. Free admission to the World Botanical Gardens and Waterfalls for the duration of their membership. A 10 percent discount on all non-sale items in the Garden Visitor Center. Notice of garden events and newsletters. Other benefits are available depending upon the level of membership. Dedication of a garden bench or tree with a plaque inscribed with the name of the member or a loved one (Tree of Life Member and above). A permanent Gold Garden Benefactor Card which entitles you and your accompanying guests unlimited free access to all amenities of World Botanical Gardens and Waterfalls except the Zip Isle zip line and Segway tours (Garden Benefactor). Ten complimentary zip line passes (Garden Benefactor). Recognition on the Garden Benefactors Plaque (Garden Benefactor).